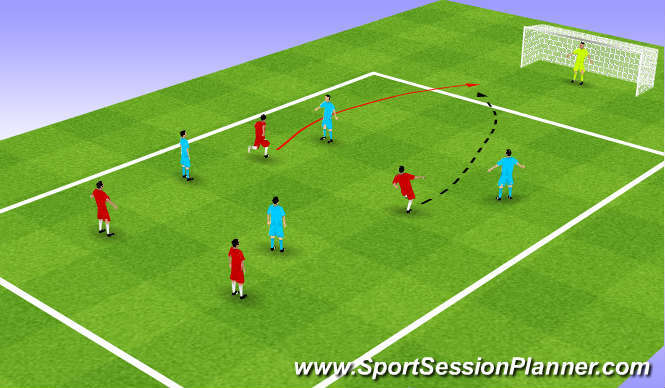 2v2 to score out side player must pass to opposite outside player, one touch, pass. 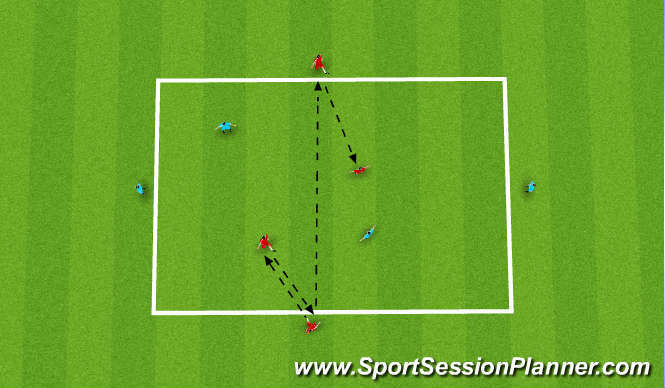 Centre player interlink and create space. 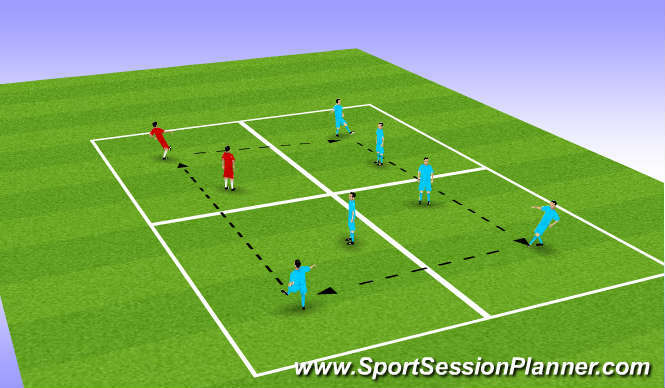 4v4 must get 5 passes then find a pass to forward running player to take on keeper to score unappossed. Reciving vision passing short and long touch. Movement to create space to recieve. unselfish runs to create space for others to play through. Session 1 & 2 were to a high standard with loads of energy and enthusiasum, session 3 the forward pass was often rushed and of poor quality due to bad decision make of time to pass.